I started meal prepping my lunches to take to work at about 15 months into my weight loss journey (when I was down about 82 pounds) and really have enjoyed eating real and whole foods for my lunches whenever possible! 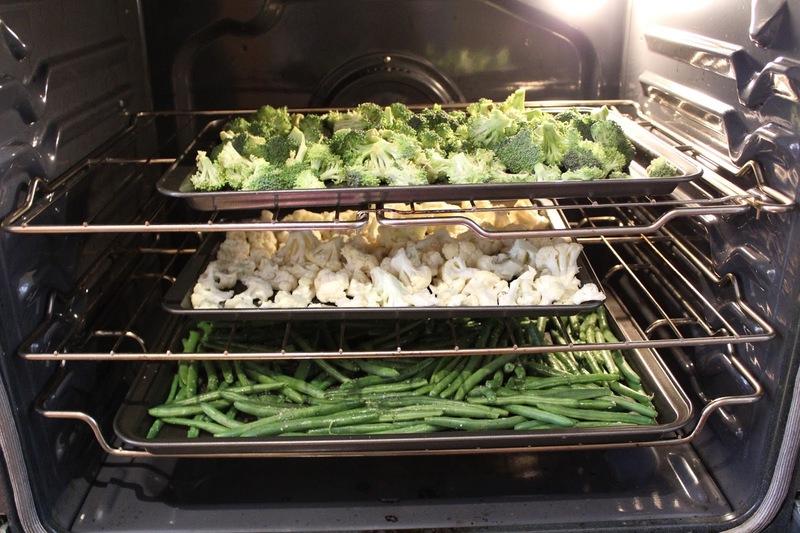 I made a habit of roasting up a bunch of veggies every weekend and paired it with some type of protein to eat throughout the week. Since switching to the If It Fits Your Macros diet plan I've had to switch up how I cook and track my meal prep for lunches since IIFYM is based around weighing out all of your food to hit your macronutriet goal within +/- 5 grams every day. 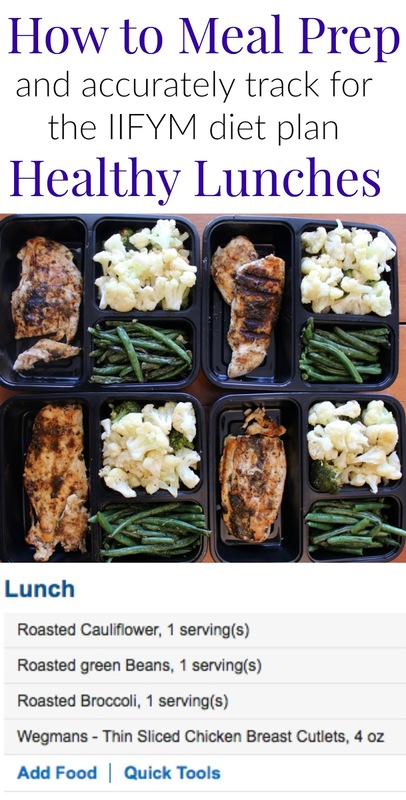 I thought I would share a post on how I have adjusted my meal prep to follow IIFYM and how I accurately track the macros for my lunches using My Fitness Pal! First things first: you will need Tupperware! I bought this 10 pack of meal prep containers for less than $15 off amazon (affiliate link). 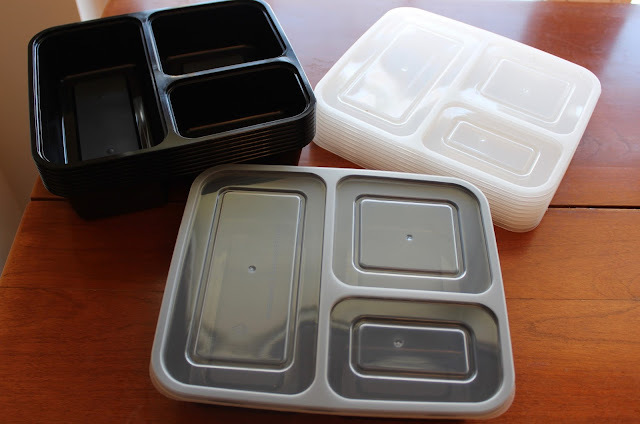 They have three different compartments for food and are dishwasher and microwave safe. This week I also prepped some protein to pack! 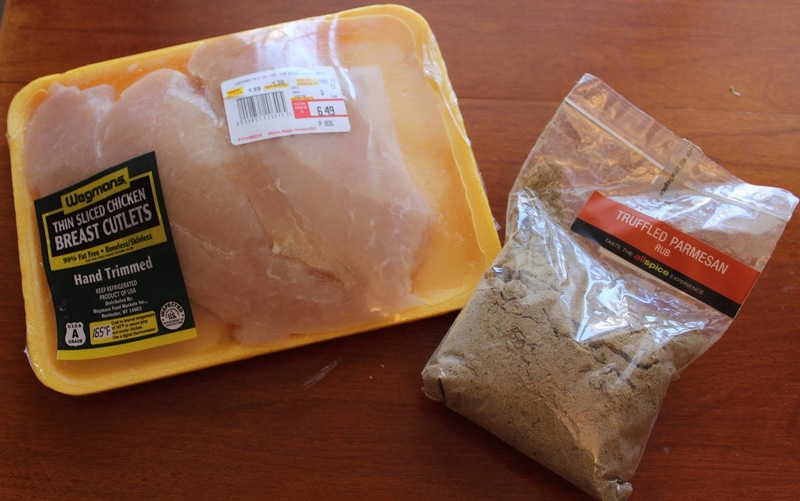 If I'm low on time on the weekend I will sometimes buy pre-cooked chicken sausage and use that but this week I had plenty of time so I bought some thin sliced chicken breast cutlets to cook and and season with truffled parmesan rub. and then I create a recipe in My Fitness pal logging my ingredients to the gram or mililiter. For veggies I always search for a "raw" version listed by the USDA for an accurate tracking. 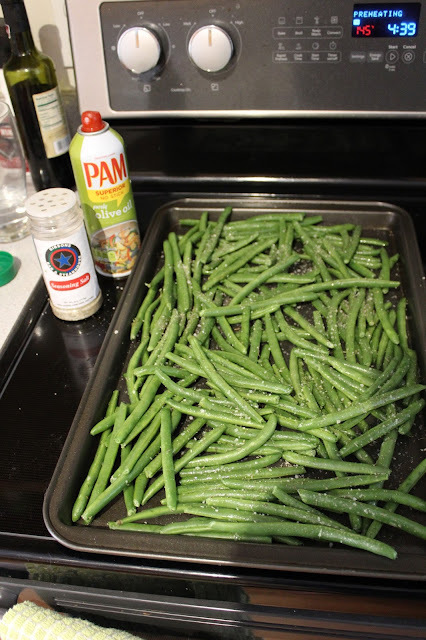 I drizzle the olive oil over the green beans and season with some kind of seasoning and throw on a pan coated in PAM. I'll do the same thing for my other veggies then roast them at 400 degrees for about half an hour! After the veggies are cooked through I will take them out and weigh them again cooked. Why??? Because they will weigh a much different amount now that they are cooked! 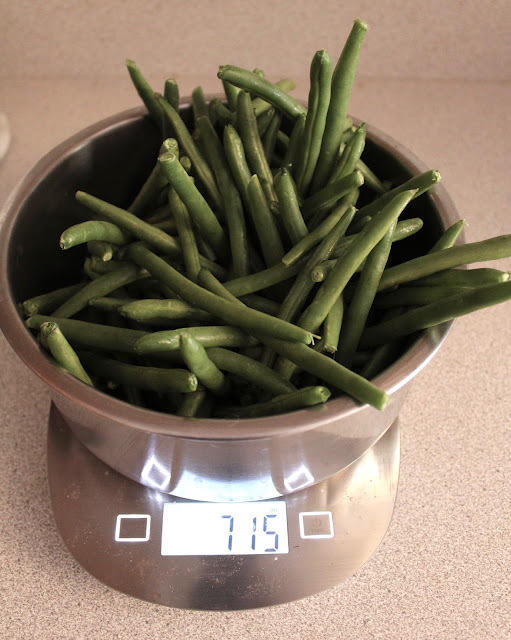 I will take this finished number and divide it by however many lunches I am prepping for that week so 441 grams divided by 5 equals about 88 grams of green beans for each lunch. and will set my recipe in My Fitness Pal to be for 5 servings and I have my log for each serving of that veggie! While the veggies were roasting I also started cooking my chicken. 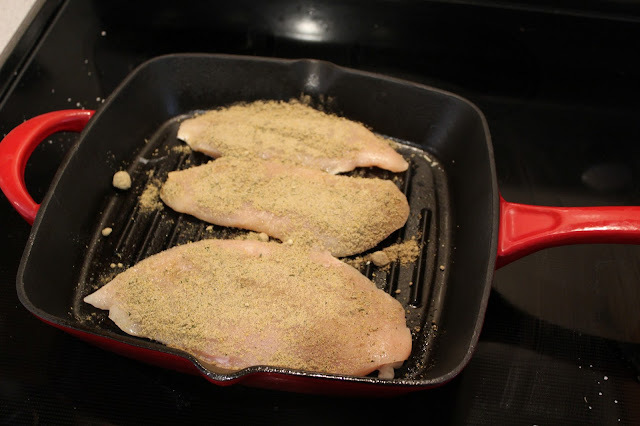 I have a grill pan (affiliate link) that I like to use to easily cook my chicken. I will season each side with seasoning and then cook for about 3-4 minutes per side or until cooked through. Each veggie has it's own recipe I created based off of the weight of the total veggies and I just scanned in the barcode for the brand of chicken I was using. Each of my five containers (only four shown) ended up having 284 calories, 20 grams of carbs, 4 grams of fat and 44 grams of protein. 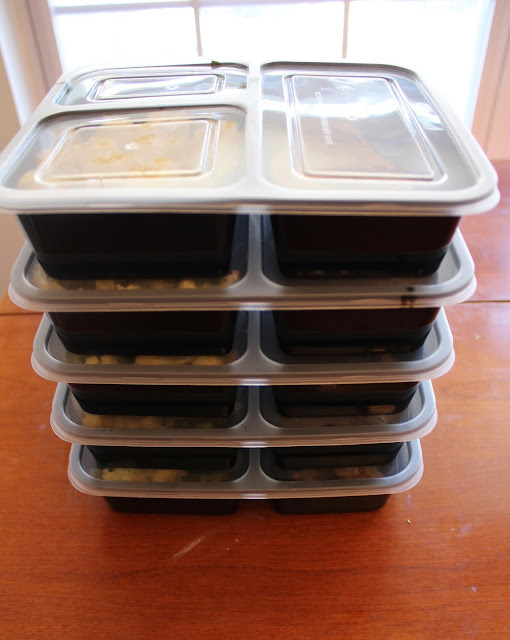 I package everything up in their container and then store them in the fridge for the week! 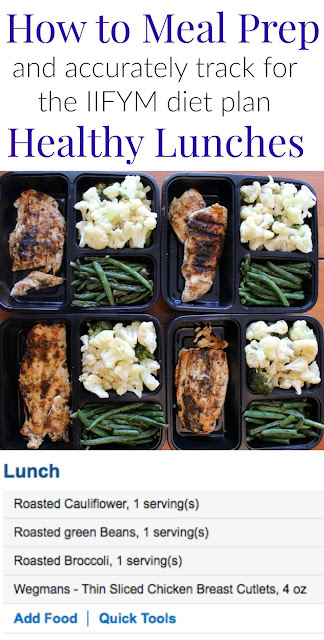 I will prep five meals on Sunday and they stay good until Friday. I'll keep each meal stored in the fridge until lunchtime every day and will plate and microwave for about 3 minutes and then eat! 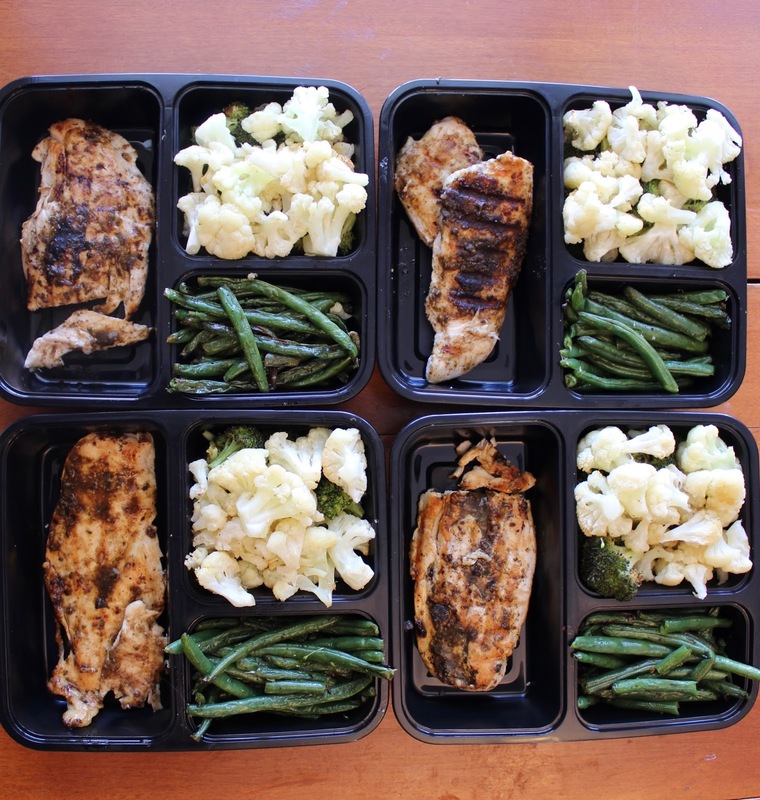 Taking the time to do this kind of prep is SO CONVENIENT for me for the rest of the week! 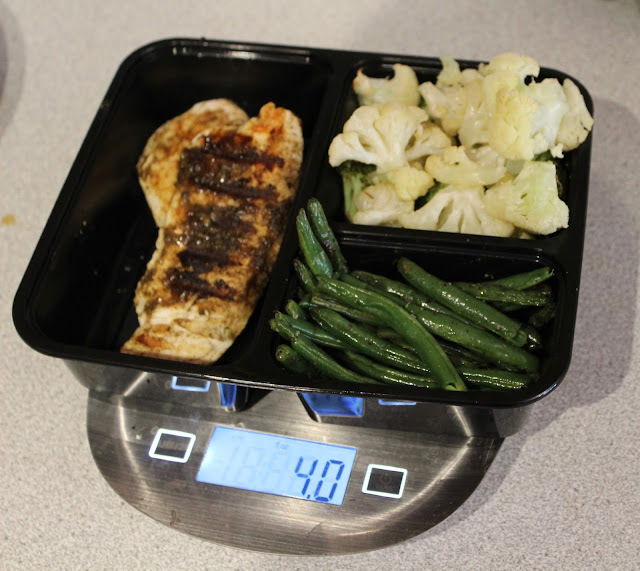 This way I know the exact macros for at least one meal daily so I can just copy and paste my lunch entry everyday for Monday - Friday and it just makes planning my macros out for the rest of my meals a little easier having that one constant. 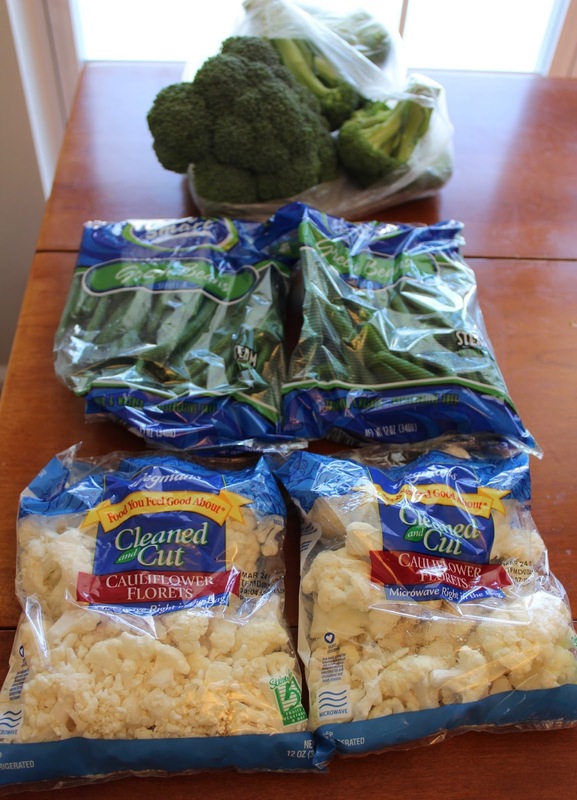 I only will prep foods that I like (I happen to really like chicken and veggies now!!!) so I don't get sick of eating the same thing for lunch five days in a row. I don't do the same exact prep every week either: some weekends I just don't have time so instead I'll just pack salads or something that is a little less time consuming, but if I have about an hour an a half to kill on a Sunday I really try to make time to fit in a prep to make sure I am ready for the week with healthy lunch options. I love following your blog and instagram, and this is a great post, so thank you! 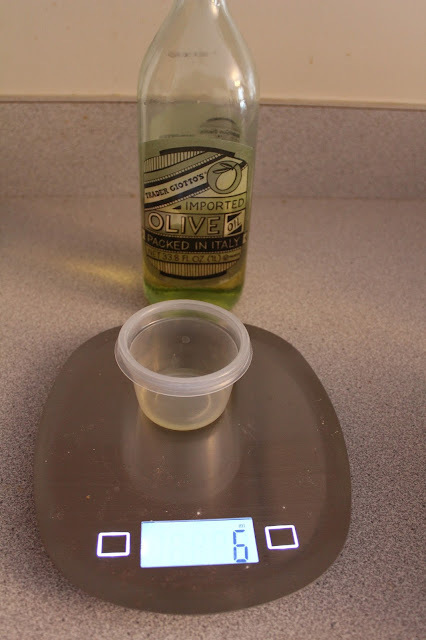 Question: How do you get your roasted veggies to come out so nicely with so little oil? 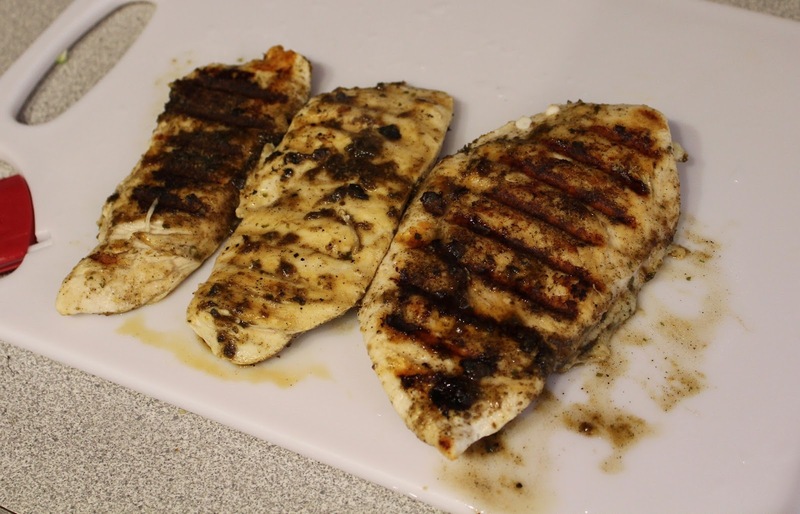 Mine always seem to dry out and blacken too much before they're done (and that's with my oven turned down to 375). Hey Rebecca! 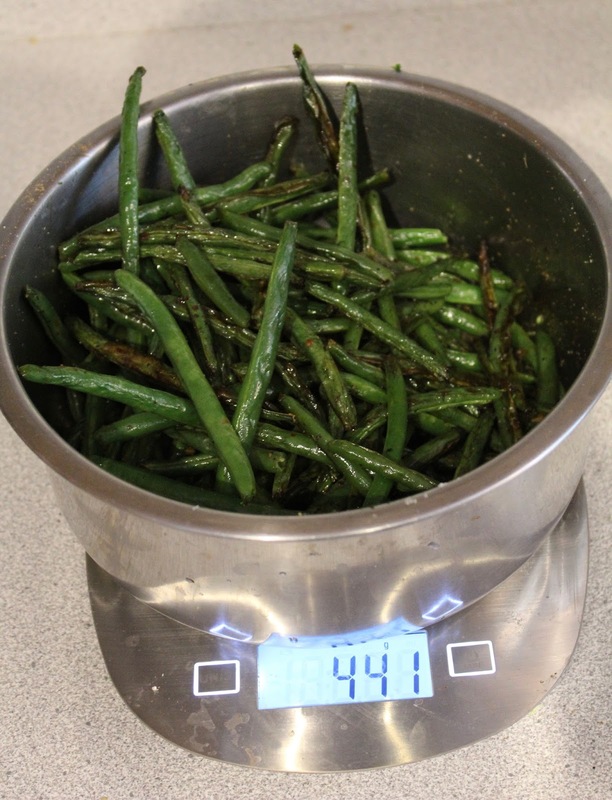 I tried roasting my veggies as you do and my broccoli and a lot of my green beans came out burned :( I need some tips to prevent this. 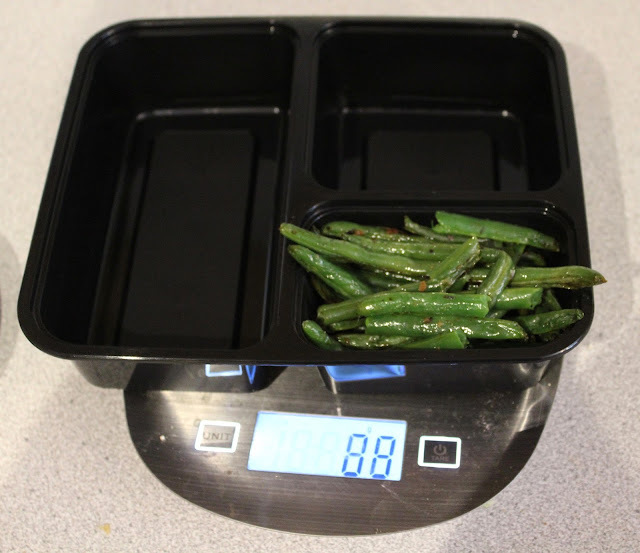 i have a question about weighing the vegetables twice. I understand why you do that, but then which number do you use for MyFitnessPal? Since you put the uncooked weight into MyFitnessPal for the recipe but used the cook weight to divide the servings, do you change the weight in MyFitnessPal to the cooked weight? I don't know if that makes sense, but thank you! !